TRACE 3 mount pack is available in black or multicolor (1 black, 1 red, and 1 white.) 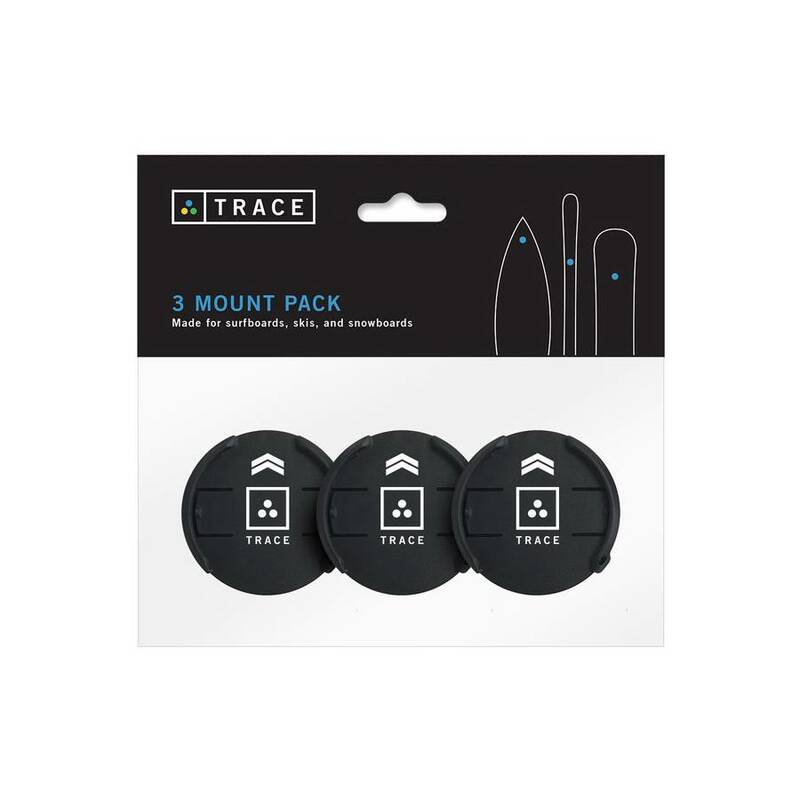 Mount your Trace to your Twintip, Kite Surfboard, Snowboard, helmet, etc. Compatible with any flat surface, the Trace mount is 1.8" in diameter and boards 1.5" to 1.2" thick. Trace mounts use 3M's strongest adhesive and will install on any flat surface. Trace mounts have been tested in the coldest conditions and 50+ foot waves. Mount Trace with confidence. 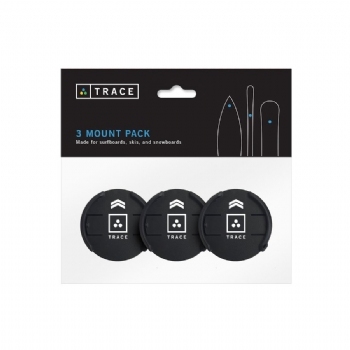 Your purchase of Trace Mounts - 3 Pack comes with 3 Trace Black or Multicolor Mounts (Black, Red, and White) with 3M's strongest adhesive (industrial strength and waterproof). 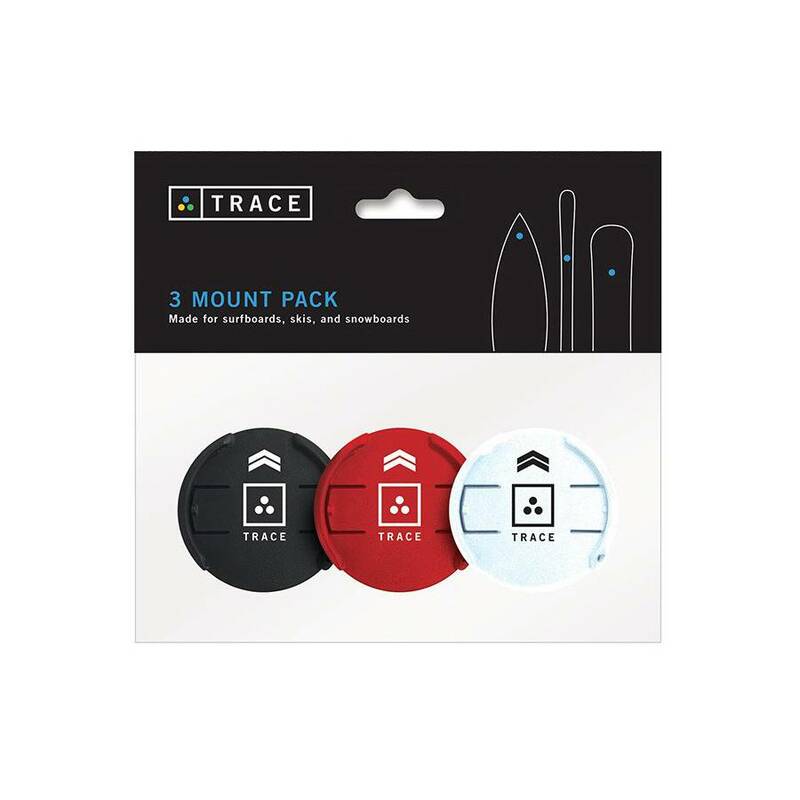 These mounts make it easy to swap your Trace sports tracker for board to board. They are easy to install and work great. Love being about to move my Trace unit on to my different boards. Also fun to compare the Twin tip and surf readings.